The Meeting will accept oral and poster presentations. There will be two categories of oral presentations: keynotes (invited) and contributed. Official language of the meeting will be English. 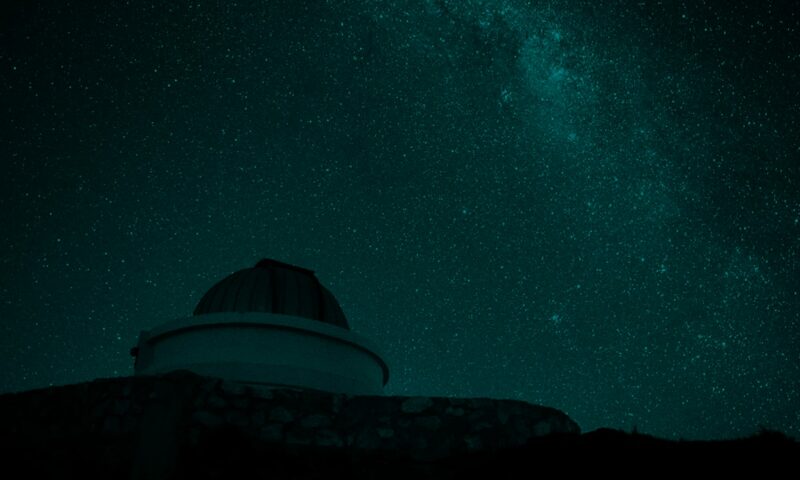 All oral presentations will be held in the “Mirta Mosconi” Room of the Observatorio Astronómico de Córdoba (see Venue page). 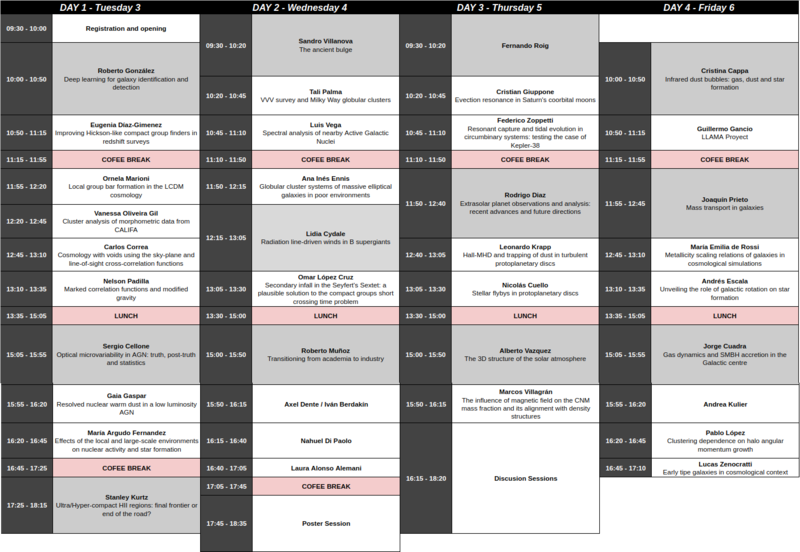 The time allocation for keynotes is 45m + 10m Q&A. The time allocation for contributed talks is 20m + 5m Q&A. The Local Organizing Committee makes the final determination regarding acceptance and is in charge of preparing the final content of the program. Abstracts that are accepted but cannot be accommodated as oral presentations will be accepted as posters instead. The session chair will provide a laptop with recent versions of Acrobat Reader. There will be a good internet connecting service in the Auditorium, although we encourage presenters to prepare backup presentations that do not rely on internet. The presentation will be displayed on a single 1024 X 768 video projector, from a laptop provided by the organization. If a presenter requires to use its own equipment, he/she must let the COL know in advance, so that we can assist with the transition between presentations. The maximum size for posters is 80 cms wide x 100 cms long, corresponding. Authors are encouraged to include a small picture of themselves on their poster to facilitate interactions with other attendees. Tape will be provided.